We could not agree more with this survey that Vancouver is the best place to live in North America. It does not matter what is happening with the weather: the ocean changes every single day, the mountains are stunning every day - it can be cloudy and overcast, foggy, or full of sunshine like today. We can walk on the seawall, visit the Aquarium in Stanley Park, hike Quarry Rock in Deep Cove, ski in the morning, play golf in the afternoon or just ride your bike on our many wonderful trails. WE LOVE VANCOUVER AND FEEL VERY FORTUNATE TO LIVE HERE! 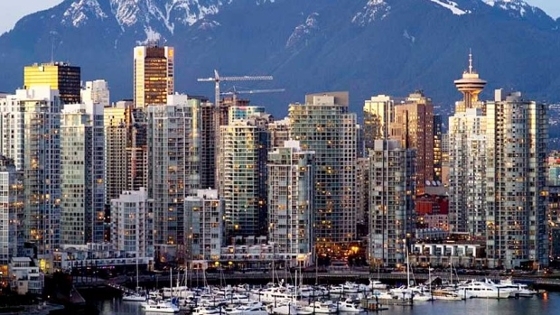 Vancouver enjoys the highest quality of living in North America and the fifth highest in the world, according to the 2014 Mercer Quality of Living survey. The survey, which looked at more than 460 cities worldwide and rated 223 of them, gave Vancouver high marks for cultural diversity, the quality of its medical care and its more than 200 parks.